I've been enjoying all things fall lately...pumpkin, apples, cinnamon, football, etc. So, after my mom told me she was making apple pies this weekend, I decided to make applesauce. I love applesauce but hate the added sugars in the store brands. 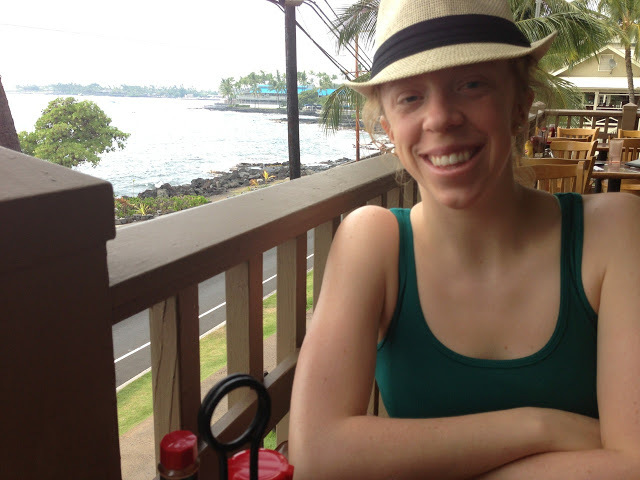 I have heard that applesauce is pretty easy to make, so I began searching for recipes online. 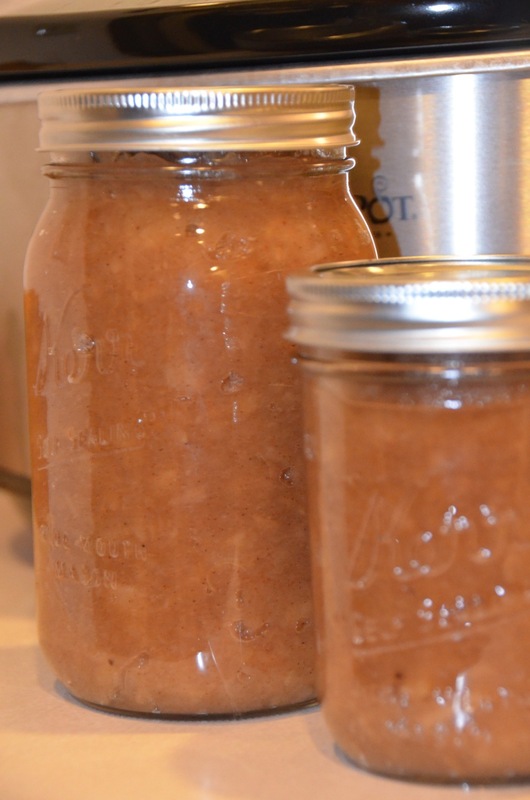 Combining a few ideas from a couple different blogs, I came up with this crockpot version of applesauce that has no added sugars. The only time consuming task was peeling the apples, which was much easier than expected. Peel, core and chop apples into cubes. 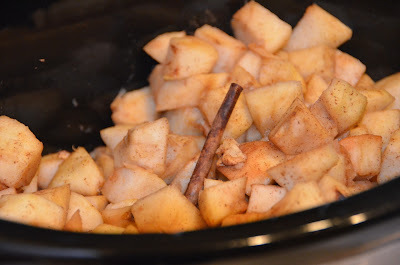 Place apples in Crockpot. 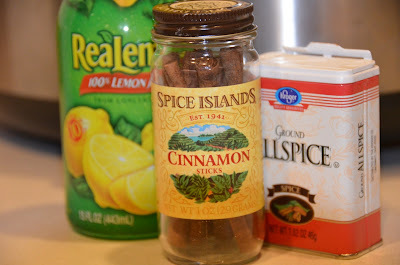 Mix cinnamon, allspice, lemon juice, water and salt in a bowl and pour over apples. Stir with large wooden spoon. 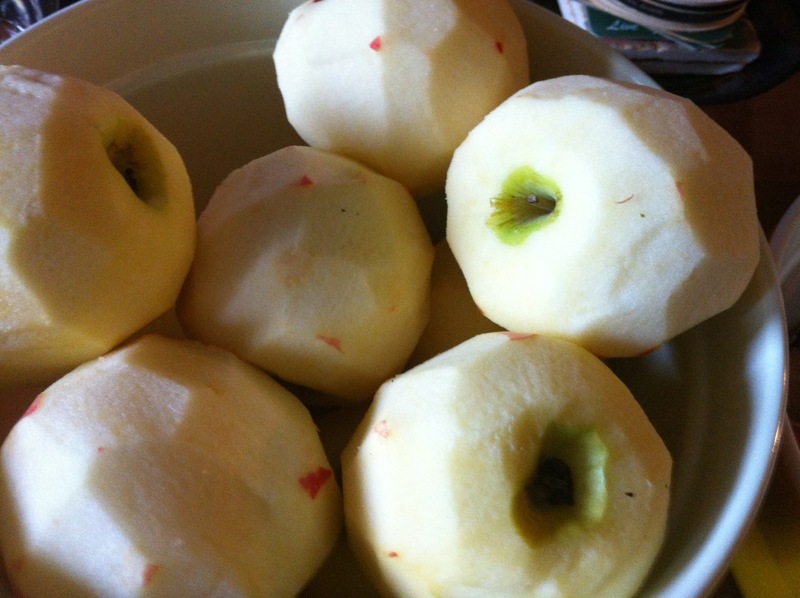 Cook apples on low 4-6 hours. Apples will become very soft. Mash apples to desired consistency. I peeled the apples while I watched the Minnesota Vikings beat the San Francisco 49ers...perhaps this is why the task went so well. 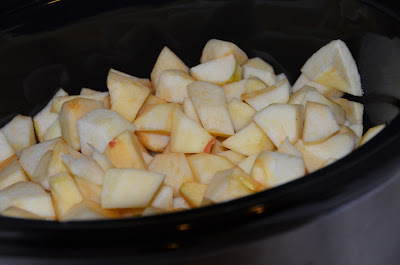 After peeling the apples, I cored the apples using an apple slicer, cut the apples into cubes and added them to the crockpot. I did my best to keep the ingredient list very short. I poured the ingredients over the apples and turned the crockpot on low. 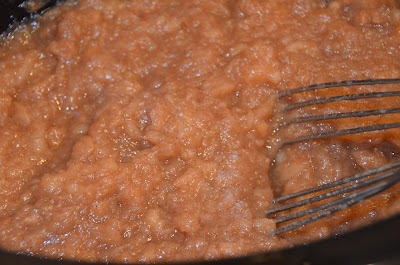 I stirred the apples occasionally to make sure all ingredients were evenly combined. 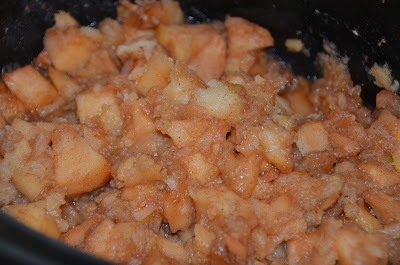 This is what the apples looked like after about 2-3 hours of cooking. After about 4-5 hours of cooking, I stirred and mashed the apples with a flat whisk, keeping very small chunks in the applesauce (a blender would also work). 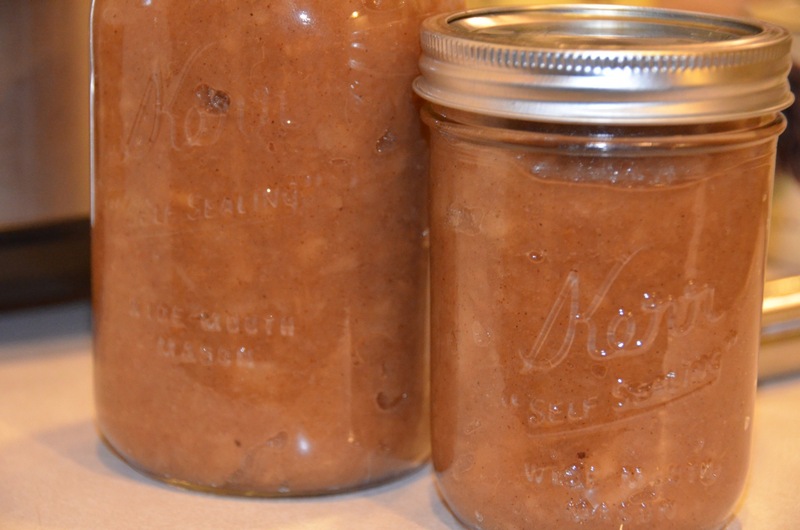 This recipe made 6 cups of applesauce (I stored the applesauce in two mason jars...one quart and one pint...and placed in the refrigerator). Not too sweet and with just the right amount of spice, the applesauce turned out exactly as I had hoped...while making my condo smell delicious. 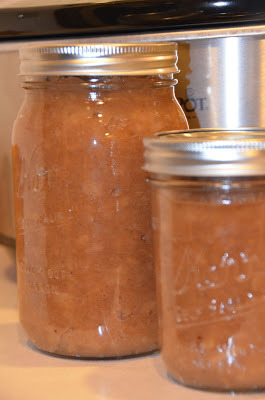 I love how the cinnamon and allspice turned the applesauce a beautiful golden color. I can't wait to add this to my oats in the morning or combine the applesauce with greek yogurt for a yummy snack.